A turn-key solution for your online business, featuring email marketing integration, social media sharing, landing pages, online store, email opt-in plugin, and a lot more. 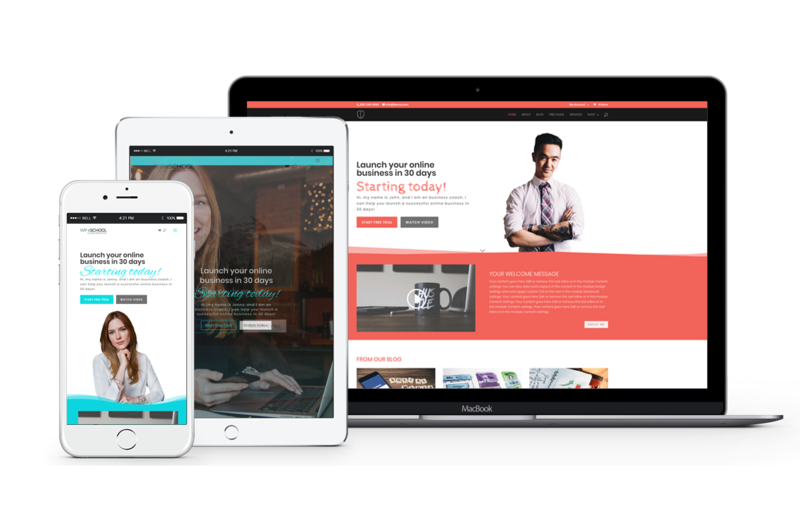 Professionally designed, pre-built pages using a premium theme, with an easy-to-use visual builder and SEO, ready for you to enter your own content. Need more info? Read here everything that you will receive by purchasing our WordPress website package.